You do not need an expensive camera, in fact I actually prefer the slightly grainy effect that an iPhone camera produces when it comes to flat lays. Lighting is another story. You must use natural light. Florescent lights and flashes create distracting shadows and a yellow tinge to photos that just don’t translate well. There is nothing worse (exaggeration much?) than a messy flatlay. Especially when it comes to outfit photos like the one above. You want all your edges and proportions to line up to create an easy on the eye photo. Ideally, I look for a white, marble or cool toned background to shoot on. Occasionally a printed background can work but to keep it simple, I would go with white. If the photo feels a little bare – Grab your friends drink (like in the photo above), add a pair of sunglasses, a pretty lipstick, a magazine, the menu! Anything with a little interest to spice the photo up and create a more interesting flatlay that keeps the eye wandering. 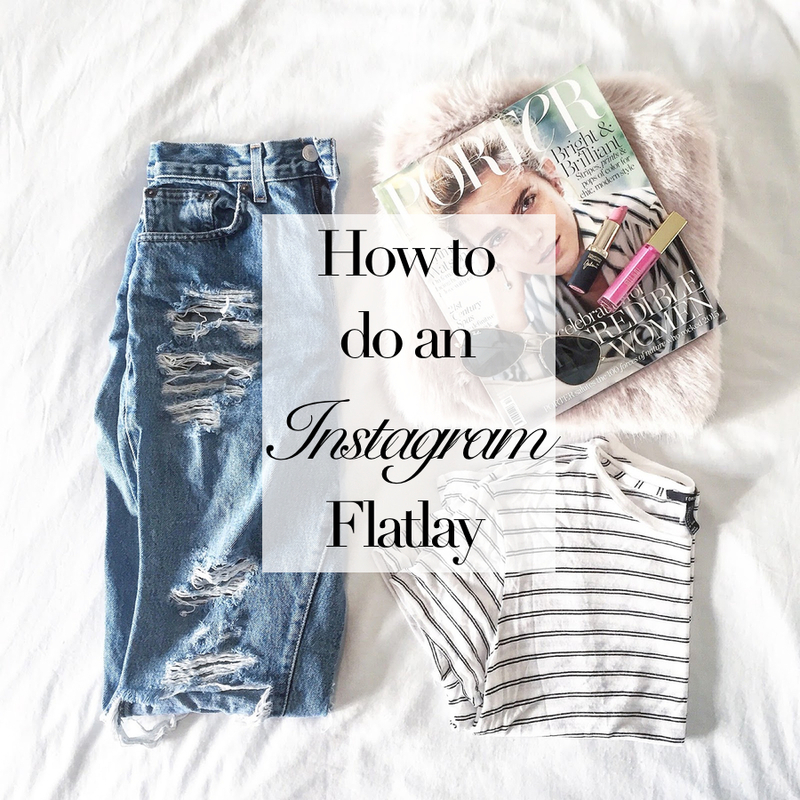 Majority of flatlays are done from above, however it’s not a must. Depending on the items and the way the end up laying, I might opt for a shot that is a little off centre or off to the side (as in the photo above). Most of the time I do this when I’m shooting with my DSLR to get the most of the aperture. That’s all I got! I’m no pro, but I hope these tips were helpful!